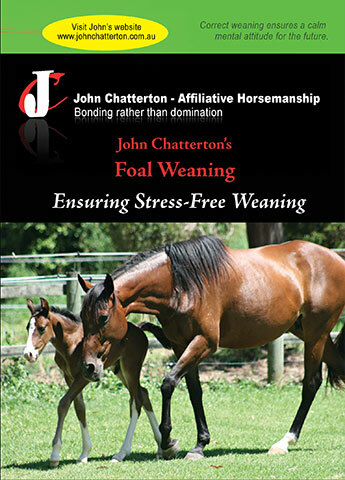 View cart “Stress-Free Foal Weaning” has been added to your cart. This DVD is part one of a two part instructional course, with part two due for release very soon. 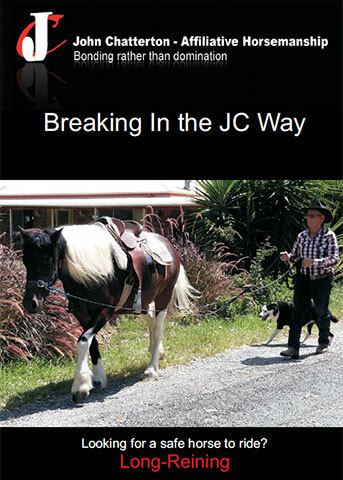 It focuses on long-reining and its importance in the starting of a young horse under saddle. How your young horse is broken in will influence the rest of his life. 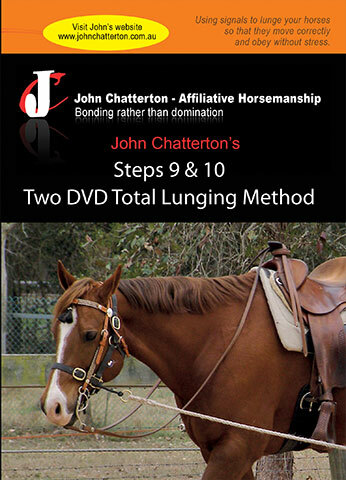 John Chatterton believes long reining is the key to producing a safe reliable horse to ride. 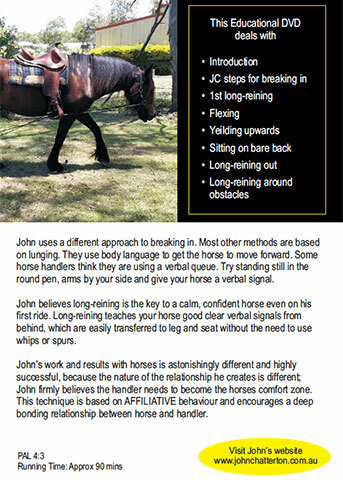 Long reining teaches clear signals from behind rather than using body language to drive him forward whilst lunging. The lunging method can create confusion for a young horse during his first ride, because your body language is no longer visible. When lunging you are to the side of him. When long reining you are behind your horse, which is where you are when on his back, behind his eye. 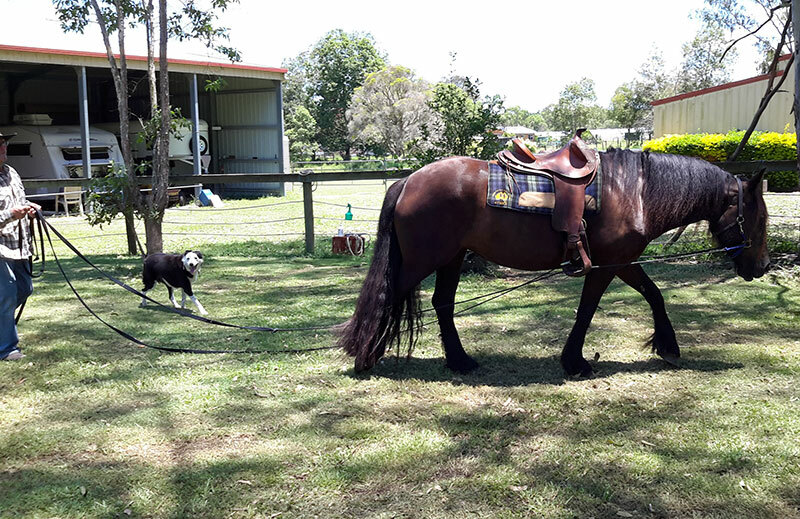 If you do enough long reining before you attempt to ride, youŕ horse will be more relaxed and calmer on his first ride. 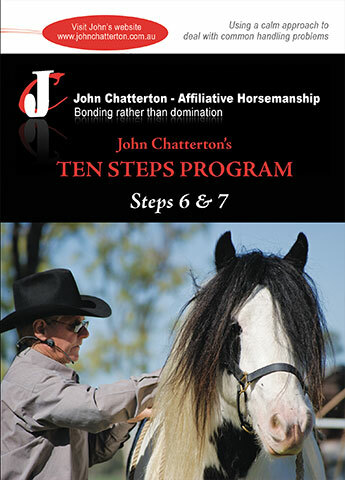 John uses his 10 Steps Program with every young horses, with particular emphasis on Step 2 – Learning How To Stand Still. 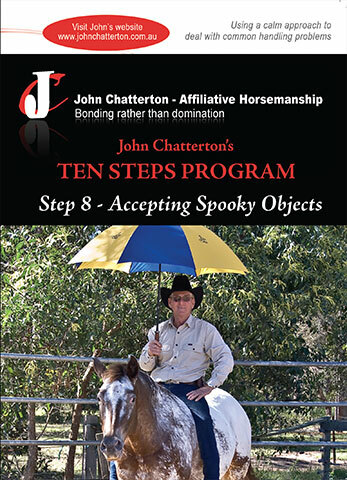 This important Step will teach your horse to stop if he gets a fright, rather than bucking or bolting off. 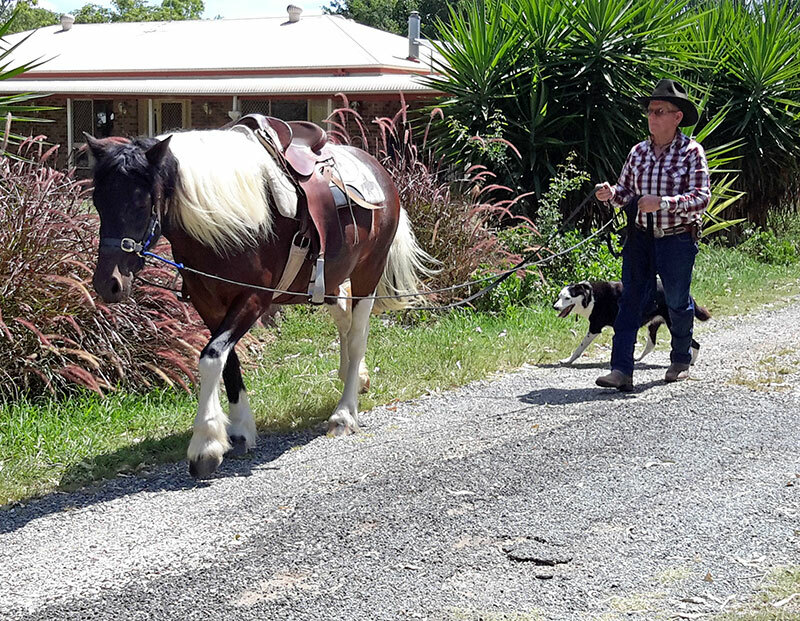 Time spent long reining will ensure a calm and confident young horse.